Did You Know Urban Dance Squad Recorded a Tribute To Scott La Rock? 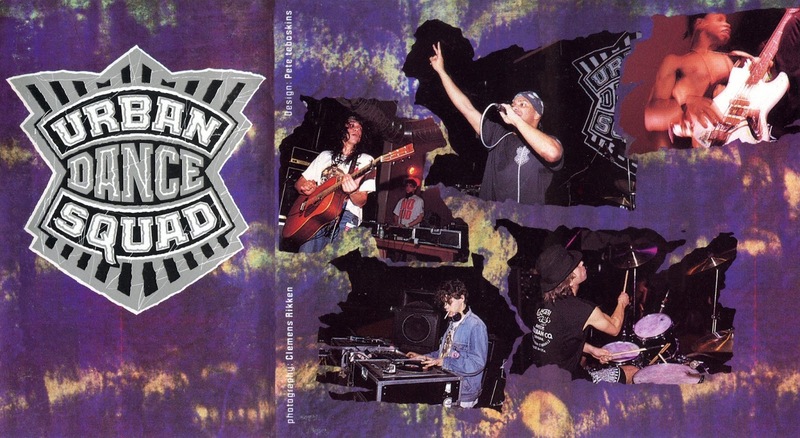 Hey, did you guys know the Urban Dance Squad recorded a tribute to Scott La Rock? I sure didn't; I just found it now. That's largely because I never really listened to them. The only real impression they made on me was back in 1990, when their video for "Deeper Shade Of Soul" used to play on Yo! MTV Raps constantly. Lots of skateboarding in a swimming pool, the guitarist mugging to the camera, and a DJ shown doing scratches you didn't actually hear in the music. That's what I remember. It was a catchy sample, and they made major use of it; but I never liked the rapping even as a kid, so I never bought their album. For me and most of us in the US, they were a little one hit wonder act that released one album on Arista and then disappeared. But they're actually a Dutch band (they popped up on Cheez Steez vol. 1), and they apparently they were big over there, releasing six or seven major label albums on Virgin Records throughout the 90s. Rudeboy's the MC, and the other guys are drummer Magic Stick, DJ DNA, and guitarists Silly Sil & Tres Manos. The only other memory I have of them was back when I was working at The Source, and we were making an online database of every Hip-Hop artist. Dave Mays sent a memo saying he looked at it and three artists on the list weren't actually Hip-Hop and should be taken off: Marky Mark & the Funky Bunch, 7L & Esoteric and the Urban Dance Squad. I replied that if we're just taking off artists because they're wack then we'd have to remove the Made Men, too, and I never heard back about it and all the artists stayed. ...The only other time I got a memo from Mays was when he sent one to correct me that "Super Rappin'" wasn't a Grandmaster Flash and the Furious Five song, so I had to fax him a scan of the record label showing him that it was. Anyway, the point is, I'd never listened to their one album that really sold here in the US, Mental Floss for the Mind. That title's another thing that put me off it. ...Never listened to it until this week. And it's mostly what I expected. Hip-Hop mixed with live rock music, which isn't bad, though all the live drums and guitars feels a little sloppy for a guy used to loops. It definitely has a rock and roll vibe to it that doesn't appeal to me, and I still don't like the rapper. There are some cool samples, like, the first song heavily uses the instrumental from "Strong Island," which sounds good, but guess what? The JVC Force song is still a ton better, so why bother with this one? That's kind of the album in a nutshell, and most of the best bits are front-loaded to the beginning of the album, so it gets weaker as it goes on. But apparently they later really embraced the 90s rap/ rock thing on their later albums, and Mental Floss at least has a funkier vibe to it. Anyway anyway, near the end of the tape, I was surprised to hear them suddenly rapping about Scott La Rock. And there's no question that they mean the Scott La Rock. They specifically go out of their way to sample "South Bronx" right after they say his name for the first time. The song's called "Famous When You're Dead," and the whole thing isn't really about him. They start out rapping about themselves, "our aim: we entertain to gain a place, maybe, in a hall of fame. And If we don't reach this, the world's to blame." And they slowly get to the overall concept of the song: tragically, a lot of great artists don't become famous until they're dead, "the people and the critics in the biz are impressed 'till my death, so make an album: 'The Best of Rudeboy's Raps.' Yeah, twice as much money behind my back, now that's lame; too late to get, yeah, you're famous when you're dead. ... Now they fake it, when they try to weep. Like a family scene, they all just wish it: to bury your body; they won't miss it. like a wife who is wicked. She inherit, then you know her real spirit." So there you go; if Rudeboy turns up dead, the police know who to look at. But then the rest of the song suddenly becomes about Scott La Rock, starting out, "9 AM again, I wake up. A cold shower, breakfast, time for pop. Then I be in the mood for some lyrical rock. I pop in a tape in my deck: Scott La Rock." Because that's what Scott La Rock's known for... his lyrical rock. I guess "rap" wouldn't have rhymed as well with "Rock" as "rock" does. And yeah, he did actually rap at least once or twice in his career, but wouldn't it make more sense to reference his cuts or production rather than his lyrics? He continues, "superstar status he never lacked, but the words of mouth were final on wax. The extravagant life came to an end, a nine millimeter and a glock went bang." Get it? Because BDP had a song called "9mm Goes Bang," so they're imagining that the gun that shot him was a 9mm. I'm not sure that's in such great taste. And again, more about his "words" on wax. I know they're not from New York, but they had to know Krs-One was the vocalist, right? It's kinda weird. The whole song's kinda weird. Rudeboy keeps mispronouncing words, which makes his verses hard to decipher (he turns "recognition" into a six or seven syllable word); I'm guessing English was not his first language. And instrumentally, they loop a sample of Biz Markie beat-boxing then pack it with electric guitars. In fact, the first thirty or so seconds is just a guitar and drum warm-up/ noise jam before the song starts proper. Then they end it with an electric guitar riffing the famous opening notes to Chopin's "Piano Sonata No. 2" funeral march. Plus, I'm not sure how much the song's premise even applies to Scott. Like, his records were big when he was alive; "The Bridge Is Over" was a monster when it dropped. And since his passing, Hip-Hop purists have been keeping his name alive, none more so than Krs himself. But it's not like anything he did went on to become a mainstream, crossover success after he died. Teenage girls around the globe didn't flock to "P Is Free" once they about him on the news. So, I don't know. I'm not really knocking it; it's a good thing that they're honoring Scott. In fact, for me, it's kind of the best moment on the second half of the album. And when he says, "some act like they were his best friends. those hypocrites, they make me mad!" That sounds like a real sentiment; that's a good song-writing moment. It's just an interesting little discovery I thought I'd share, because I'd bet a lot of heads had no idea this was a moment in our history. 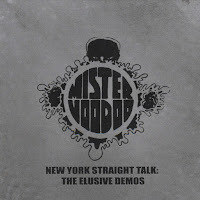 Two years ago, I wrote about a tight Chopped Herring EP of unreleased Mr. Voodoo demo tracks. Well, this summer, they're re-releasing New York Straight Talk: The Elusive Demos on CD. But what's interesting about it is that the track-listing's different. And I don't just mean that the songs are in a different order, although that's a little true, too. But the original vinyl EP was seven tracks long, and this one's nine. So, two new bonus tracks? No, three in fact, because one song has been taken off. And all three of these new tracks are previously unreleased; they didn't just throw "Come Off Hard" on here to fill up space or something. So the track that isn't here is "Betta Duck," which kind of makes sense, since it was labeled as a "bonus track" on the 2015 version. It was still dope, but far from the best song on there and was newer than all the vintage '94-'95 era stuff that comprised the rest of the EP. And this way I guess vinyl heads don't feel burned, because their original EP still has something exclusive. But, really the big question is what's new on the 2017 version? 1. Live It Up (Original Version) - This one's interesting, because "Live It Up" was a Natural Elements song from their stint on Tommy Boy; it was even on the Black Mask soundtrack. But this one here is a Mr. Voo solo track, and he doesn't even kick his bars from the Tommy Boy version (or "Live It Up Part 2"). But this does have a rough, solo version of the same chorus, so I guess this is where they took the concept from. It has a much slower, calmer feel, with Voo basically rhyming over the instrumental to Red Hot Lover Tone's "#1 Player," with some deeper bass. On the one hand, it's definitely not as dynamic as the Tommy Boy version, but on the other hand, it's basically an all new song, not just like a demo version with a different drum track or something. 2. Unknown Demo - Yup, I don't know what this is either. It sounds more like 2000's material than 90's material, though. I guess "Betta Duck" and all three of these new tracks are essentially more modern bonus tracks, as opposed to their classic era material. 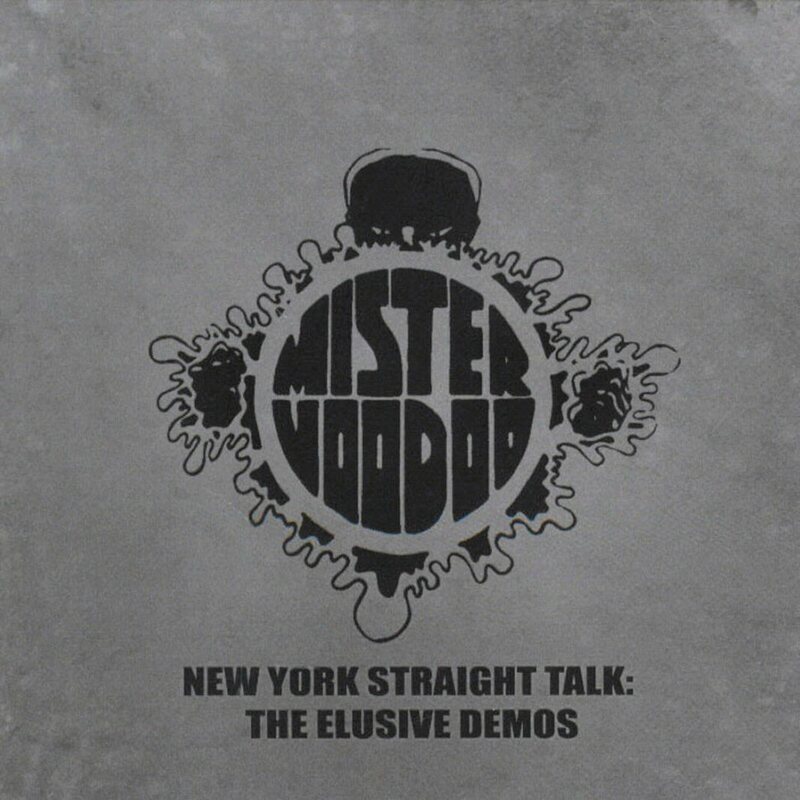 It's a kind of basic but respectable, slower NY street beat kind of track, and Mr. Voodoo comes off well like he always does, with some nice rhymes and a pointed Special Ed reference; but he doesn't use the sick, staccato flow his fans love him for. The hook is just an extra instrumental sample, so it doesn't give you much to even guess at a title. 3. Let the World Know (Demo Version) - Now, this is one of those Mr. Voodoo demos we've all been waiting for. "Let the World Know," of course, is the title track of his 2004 EP, and it's okay. But there's always been a rough sounding (presumably a radio rip) of a tighter original version over Nas's "On the Real" beat. And this is it. Longer and in restored sound quality, finally sounding like a proper song. Why is it longer? Well, comparing them now, it's obvious the leaked version was clumsily chopping out the hook and other little sections (maybe for one of those old NE mixtapes?). Uncut, the Chopped Herring version restores about two minutes. So that's great to finally get, and the most exciting of the three. It sounds a little slow, though? 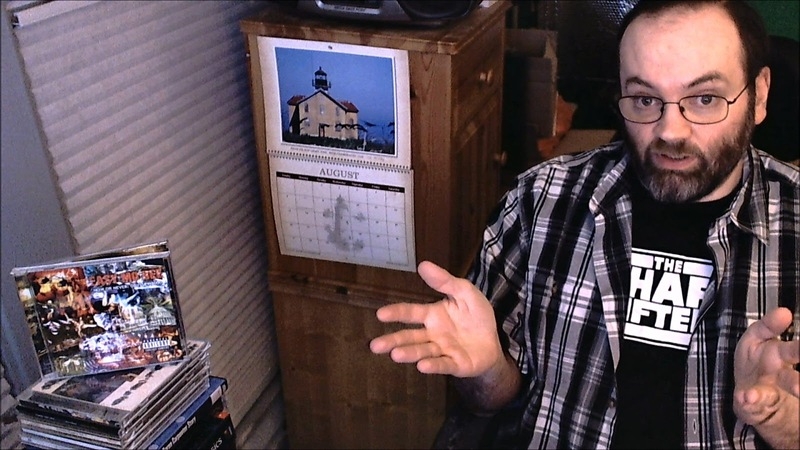 I pitched it up a little bit, and it sounded better to my eat, but maybe I'm just forcing it to match the pitch of those old demo rips that could well have been wrong to begin with. Either way though, I recommend experimenting with speeding it up and see what you think. Update 8/13/17: Thanks to KayeMPee for pointing this out in the comments! There's another nice bonus to this CD: the track "Pen Hits the Paper," which is on both the vinyl and CD, is a little longer and restored on the CD. On the old rips that we've had for ages, it's a three verse song (the last verse starts, "when my pen hits the paper, MCs disappear into vapor..."), but every version I've ever cut stops abruptly at the last word, before the hook can start again, cut off. And I guess the source material CH had to work with had the same problem, so they faded out after the second verse like that was the end of the song. Well, this CD version restores that last verse, but still fades out around where the other rips "break." The sound quality is immensely improved (on both the vinyl and CD), so they're obviously working with a much better source than those rips, but that source must be damaged, too. To be clear, this CD ends awkwardly, too, cutting off the very end of the song... but still restoring the third verse missing from the vinyl. So it's not perfect, but it's a big improvement. So yes, this CD is definitely good news. And now you know, even if you bought the 2015 record, don't think there's no reason to scoop this up, too. We just got three more lost demo tracks restored, which is also a nice sign that the well still isn't dry and there's still hope for more material, that we both have and haven't heard of before, coming to light. Right on. Every time Chopped Herring recovers another lost Natural Elements track, an angel gets its wings. 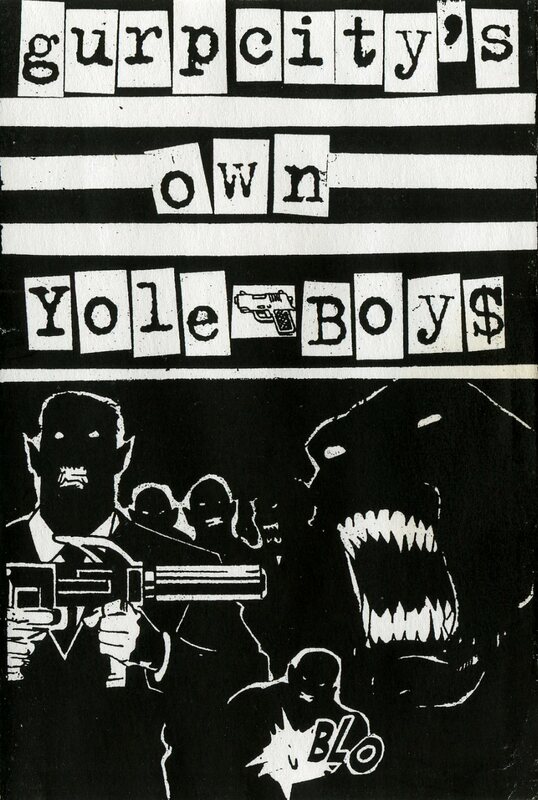 So, a couple years ago, I wrote about a killer album by Luke Sick's Gurp City Crew, collectively known as The Yole Boys. Owe. Reep. Out. was a limited cassette-only album that came out in 2011. But there was actually something before that album. Not a previous album, or even a single or EP, but a sort of prelude tape. Yolemagmix #1 and 2. It's also, by the way, the very first release on the Megakut label, prominently labeled Megakut #1 on its spine. Before anyone gets too excited or disappointed, let me just tell you know, this is an entirely instrumental tape. So no crazy Gingerbread Man verses here, sorry folks. But it's not just the instrumental version of Owe or anything. 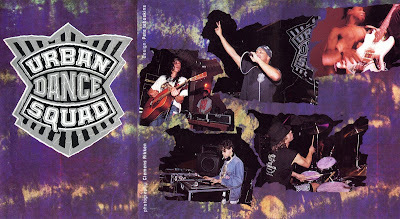 The tape consists of two, roughly twelve and a half minute long megamixes, produced by the Boys' own Fatees, and furiously cut up by DJ Quest. There are a few ad-libs, including a chant of "too gurp to get in," at the beginning of side 2, plus plenty of choice vocal samples to set the decadent mood; but this is strictly a DJ mix tape. And it's a killer. Expect anything between old school references to cocaine and Quest cutting up Biz Markie's "Pickin' Boogers" over a deep, throwback mix of what the Boys fittingly call "Bay-ami Bass." Classic bass loops mixed with electro samples and a tougher, Philly edge; this tape has a hyper, higher energy than Owe, thanks in part to Quest's quick cuts, but also just in the beats they select. Owe had a number of slower jams, but here, not so much. There's one moment where I did feel they let a single beat ride unvaried a bit too long, but apart from that, it's all a great, little ride. Still, this is an old and quite limited release with only 250 copies (mine has #144 lightly penciled inside the J-card) having been created six years ago... which is still considerably more than the Owe tape, which only saw a miserly 100 pressed (but, unless it's an error, it still seems to be available direct from Megakut!?). And let's face it, that vocal album is definitely the one you want to track down if you have to choose. But if you're a fan of these guys - and you should be - than it's worth keeping an eye out for both. And as of this writing, there are still copies up on discogs, so it's not a hopeless scenario or anything.